That was Nov. 20, 2001. Slahi’s mother has since died. Her son has never returned. He had begun, that fall day two months after 9/11, what he calls his “endless world tour,” courtesy of the various American national security bureaucracies, traveling, after a week of interrogation in Mauritania, via “extraordinary rendition” to a black site in Jordan, where he was interrogated, sometimes brutally, for eight months; thence he is flown, blindfolded, shackled and diapered, to Bagram Air Base in Afghanistan, for two weeks of interrogation; and finally, to Guantánamo, where he suffered months of strictest isolation, weeks of sleep deprivation, extremes of temperature and sound, and other elaborate tortures set out in a “special plan” approved personally by Secretary of Defense Donald Rumsfeld — and where he remains to this day. He composed these memoirs in his isolation cell in the summer of 2005, and a six-year legal battle has finally brought them to us. Written in the colloquial if limited English he picked up during his captivity, its pages disfigured with thousands of pitch-black “redactions” courtesy of the American intelligence agents who play such major parts, the work is a kind of dark masterpiece, a sometimes unbearable epic of pain, anguish and bitter humor that the Dostoyevsky of “The House of the Dead” would have recognized and embraced. “ ‘You gotta be kidding me,’ I said. “ ‘And what crime is that?’ I said. Slahi’s guilt remains certain, unquestioned and unquestionable, even as the claims of what precisely he did change. The Americans begin with the certainty that their prisoner had been the mastermind of the “millennium plot,” the 1999 attempt by Ahmed Ressam to smuggle explosives over the Canadian border to blow up the Los Angeles International Airport. There comes a point where Slahi would happily confess to it — there comes a point where he would confess to anything — but he is caught in an inescapable paradox: “If you don’t know somebody, you just don’t know him, and there is no changing it.” When the interrogators are ready to bow at last to evidence long since extracted by Mauritanian, Jordanian and Canadian interrogators that Ressam had left Montreal before Slahi arrived there, they grasp at a new theory, thanks to a confession extracted from Ramzi bin al-Shibh: Slahi had been the main “recruiter” for the “Big Wedding” itself — the 9/11 plot. “The room was as dark as ebony. [Redacted] started playing a track very loudly — I mean very loudly. The song was ‘Let the Bodies Hit the Floor.’ I might never forget that song. At the same time, [redacted] turned on some colored blinkers that hurt the eyes. ‘If you [expletive] fall asleep, I’m gonna hurt you,’ he said. I had to listen to the song over and over until next morning. I started praying. Slahi begins to hallucinate, hear voices: Friends and family “visit” him, attempt to console him; he fears he is losing his mind. Throughout, in interrogation after interrogation, he is confronted with the “evidence” from bin al-Shibh. “Why should he lie to us?” the interrogators demand. “ ‘Maybe not exactly to harm the U.S., but to attack the CN Tower in Toronto?’ he said. I was thinking, Is this guy crazy? I’ve never heard of such a tower. “ ‘You realize if I admit to such a thing I have to involve other people! What if it turns out I was lying?’ I said. In this way the vast and brutal American interrogation mechanism, stretching around the globe in an archipelago of black sites housing hundreds of detainees at the mercy of untold numbers of interrogators, transformed itself into an intricate machine for generating self-reinforcing fiction. The process, which has never been described more intimately or more convincingly, resembles nothing so much as a postmodern globalized version of the Salem witch trials: zealous inquisitors, untroubled by doubt, applying a relentless violence to conjure up a fantasy world born of the collective terrors of their own imaginations. They are our terrors, too, of course. There will be no author tour for this book. 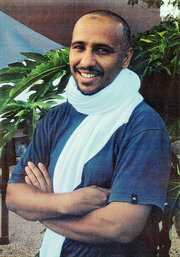 Mohamedou Ould Slahi remains in Guantánamo. We are keeping him there. It has been almost five years since United States District Court Judge James Robertson granted Slahi’s habeas corpus petition and ordered him released, but the government appealed and he remains imprisoned and incommunicado. In his absence, Larry Siems writes, Slahi’s book “has been edited twice: first by the United States government, which added more than 2,500 black-bar redactions censoring Mohamedou’s text, and then by me. Mohamedou was not able to participate in, or respond to, either one of these edits.” In these redactions, stubbornly absurd and carelessly stupid as many of them are, the dialogue of interrogator and prisoner goes on. How to distinguish smoke from fire when your hallowed premise is that your prisoner is a “smart-beyond-belief terrorist” and anything he says to the contrary is dismissed as lies? Rules of evidence, demands of due process: These are designed to separate justice — founded on real acts that can be proved — from suspicion and paranoia. When they are discarded, we plunge into Cheney’s world, where all is sacrificed to security, and suspicion and fear take the place of evidence of guilt. Our country tortured Slahi and thus made it impossible, as the prosecutor determined, to try him; fear and suspicion leave us unable still to follow the judge’s order and free him. It is easier on us to let him suffer indefinite detention. 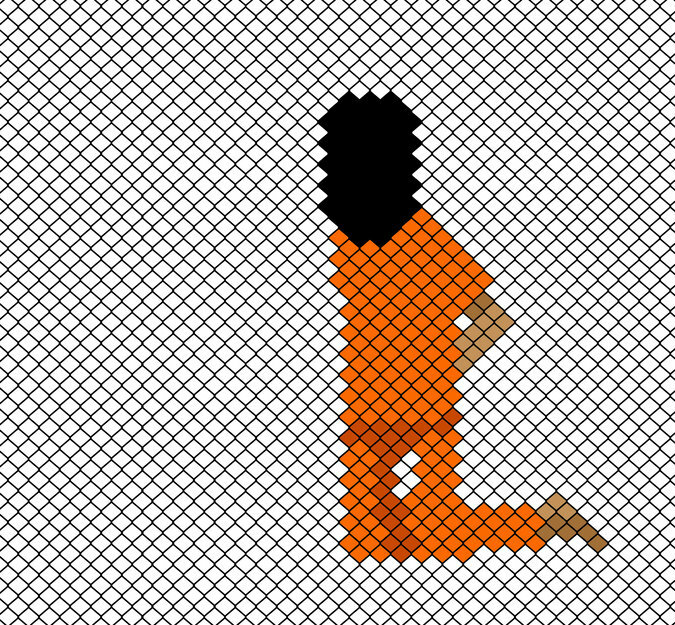 When the suffering of the untried and unconvicted becomes nothing more than collateral damage, America has crossed a gulf. The steps that took us there were largely secret, but thanks to this and other accounts we know about them now: We know where we came from, and we know where we are. We do not yet know how to get back. 379 pp. Little, Brown & Company. $29. Mark Danner’s forthcoming book is “Spiral: Trapped in the Forever War.” He teaches at the University of California, Berkeley, and at Bard College.